To celebrate the one-year anniversary of its official launch in 2010, Microfluidics today announced a promotion to donate an LV1 Low Volume Microfluidizer processor to a qualifying university or government research laboratory. The LV1 was developed to fulfill strong customer demand (particularly amongst universities, biotechnology and pharmaceutical companies) for a scalable high shear processor capable of reducing particle sizes to the nano-scale and rupturing cells efficiently with samples as small as one milliliter (1mL). The LV1 accommodates the needs of research labs with rare or expensive materials, or those working with high-value samples. The donation is part of the company's Academic Research Collaboration (ARC) program, which stimulates innovation at the university level by making its leading nanomaterials processors and services more readily available to universities around the world. To be considered, universities should schedule and participate in a meeting with a Microfluidics representative no later than May 27, 2011. The randomly selected qualifying university will be announced on June 1, 2011. "Research innovation occurs most often at the university level," said Michael C Ferrara, President and Chief Executive Officer of Microfluidics. "We developed the ARC program, as well as this current LV1 donation, in order to help cutting-edge researchers obtain the tools they require in their work. Whether developing drug delivery technologies or novel applications of carbon nanotubes, universities collaborate with industry to develop products and drugs that change the world." In addition, Microfluidics has enhanced the LV1's ability to control sample temperature throughout processing in order to minimize protein denaturation. This will help improve yield and activity after cell lysis, as well as optimize the integrity of temperature-sensitive emulsion and suspension applications. "Responding to customer demand, we've developed an additional exclusive LV1 feature for enhanced temperature control," said Bill Kober, Vice President of Sales - Americas and Asia East. "The LV1's cooling coils, with three options ranging in length from one to three feet, combine with our standard cooling tray to remove most or all of the heat added during processing. Given the strong demand for a product with these capabilities and positive customer response, the LV1 has quickly proved to be a popular addition to our product line - and these new cooling coils will only increase its ability to help customers solve their processing challenges." Thermo Fisher Scientific today announced that all of the quality control strains recommended in the new EUCAST (European Committee on Antimicrobial Susceptibility Testing) harmonized disc diffusion method for antimicrobial susceptibility testing are available as Oxoid Culti-Loops. 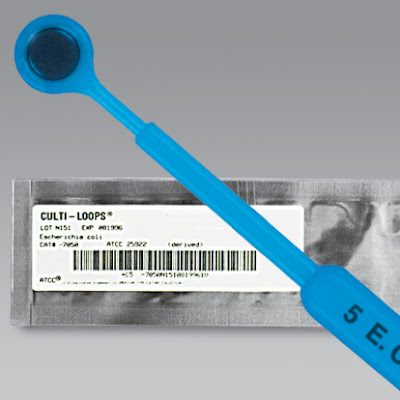 The Culti-Loops range of quality control organisms, which includes all EUCAST-recommended strains, are disposable bacteriological loops containing stabilized, viable microorganisms, supplied in packs of five. 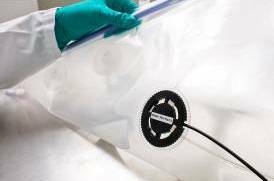 Each loop is individually foil-wrapped and ready-to-use, designed for quick, easy and safe preparation of standardised cultures. The Oxoid antimicrobial susceptibility testing product range also includes Oxoid antimicrobial discs for all of the antimicrobial compounds recommended in the EUCAST method. The recommended culture medium (Mueller-Hinton Agar) is available in dehydrated or various prepared media formats (with and without defibrinated horse blood and NAD). Ergonomically-designed disc dispensers, for the accurate placement of discs onto a variety of agar plate sizes (90, 120 and 140mm); and the Oxoid Turbidometer, for accurate preparation of 0.5 McFarland inoculums, are also available. For both fast and regular protocols, AnaSpec is showcase its parent company, Eurogentec’s MESA BLUE qPCR MasterMix Plus for SYBR Assay. This MasterMix is a unique combination of the high-performance Hotstart MeteorTaq and an inert BLUE dye. The BLUE dye, which does not affect the qPCR reaction, considerably enhances the contrast between the reagent and plastic-ware, making verification of MasterMix dispensing quick, easy and foolproof, especially when using white plates. MESA BLUE qPCR MasterMixes, tailored for every thermocycler requirement, are ready-to-use, easy-to-see formulated mixes. These kits provide consistent and sensitive results across all different qPCR platforms and prevent aberrant results before they occur. Developed SYBR assay with both Fast and REGULAR protocols, MESA BLUE qPCR MasterMixes visualize dispensing errors at a glance. They are optimized for maximal sensitivity, maximum consistency and specificity, easy-to-see and easy-to-use, and also increased signal on ABI platforms. Sigma Life Science, the biological products and services research business of Sigma-Aldrich, announced that its SAGE Labs initiative has created a suite of knockout rat models of Parkinson’s disease in collaboration with The Michael J Fox Foundation for Parkinson’s Research (MJFF). Developed using the proprietary SAGEspeed model creation process, these off-the-shelf rat models represent a breakthrough in Parkinson’s disease research, overcoming the inherent limitations of the existing mouse models. Knockout rat models offer significant advantages over the existing mouse models, which do not effectively mimic the symptoms of Parkinson’s disease in humans. The neuronal circuitry of the rat model more closely imitates that of humans, better demonstrating the disease symptoms, and rats’ size and behaviour allow researchers to perform a variety of experimental procedures more easily than in mice. In collaboration with MJFF, SAGE Labs has used Sigma Life Science’s CompoZr Zinc Finger Nuclease (ZFN) technology to create a range of knockout rat models specific to Parkinson’s disease, based on existing knowledge of the key genes implicated in the disease. This groundbreaking collection of rat models currently includes LRRK2, Parkin, Pink1 and DJ-1 knockouts which will help researchers accelerate investigation of novel therapeutic strategies for Parkinson’s disease. “This collaboration with The Michael J Fox Foundation for Parkinson’s Research highlights the enormous potential of our CompoZr and SAGEspeed technology platforms, and displays our commitment to providing the scientific community with tools for cutting-edge research into diseases that afflict the human population,” said Dr Edward Weinstein, Director of SAGE Labs at Sigma Life Science. TTP LabTech is presenting an opportunity to win one year’s free use of two of its instruments at the SBS, Orlando, USA (March 27-31 2011). 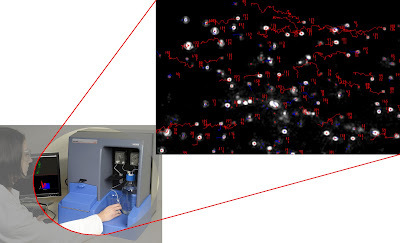 TTP LabTech says Acumen is the fastest imaging system available for cell-based screening and can collect and simultaneously analyse over 40 images/second; has three laser fluorescence capability; applications for RNAi, colony counting and cell migration analysis. PharmaDiagnostics NV, a company developing and marketing a broadly-enabling, label-free screening technology that uniquely does not require specialized equipment, announces today the launch of three new methods for coupling proteins to the gold nanoparticles used with PharmaDiagnostics' SoPRano technology. The new coupling methods will greatly expand the technology's applicability in the key drug discovery and life science research markets. 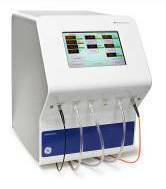 GE Healthcare has extended its WAVE Bioreactor platform with the launch of the WAVEPOD II Integrated Controller, the pHOPT optical pH sensor, and UNICORN DAQ 1.0 software. All specifically designed to improve monitoring and control of cell culture conditions in WAVE Bioreactor Systems, and forming part of GE Healthcare’s ReadyToProcess platform of ready-to-use products for upstream and downstream processing of biologicals. The WAVEPOD II Integrated Controller supports the set up, control and monitoring of cell culture parameters in Cellbag bioreactors. Available with a choice of control modules to meet individual needs and a large colour touchscreen providing easy access to all operations, data, and alarm conditions from the connected control modules. By coordinating the functions of individual control modules, it is possible to develop complex schemes for the precise measurement and control of culture conditions including pH, dissolved oxygen, CO2, and O2 gas mixing. pHOPT is an optical single-use sensor which is preinstalled on the underside of the Cellbag bioreactor. Designed for use with the pH controller of WAVEPOD II, it enables continuous pH monitoring in the crucial pH range, 6 to 8. The UNICORN DAQ 1.0 software’s real time data acquisition allows the user to monitor the run status of any connected WAVE Bioreactor instrument. Epistem plc, the UK biotechnology and personalised medicine company today announced a collaboration with sanofi-aventis US Inc relating to the use of Epistem's proprietary biomarker gene expression profiling and immunohistochemistry technologies. Under the terms of the agreement sanofi-aventis has entered into a three year collaboration with Epistem to provide discovery through to clinical biomarker support to oncology programmes of sanofi-aventis and its affiliates. The collaboration is expected to inform sanofi-aventis oncology programmes with a biomarker strategy aimed at identifying biological responses to drugs in relevant tissues. The translational nature of this relationship means activities will cover preclinical, ex vivo and clinical support. Epistem may receive up to 4 million US dollars in research support payments including reimbursement of certain costs, over the three year period. Matthew Walls Chief Executive Officer of Epistem said, "We are excited at the prospect of working across a range of oncology programmes and of applying our technology in collaboration with the team at sanofi-aventis. This collaboration represents an important milestone for the Company as we continue to exploit our biomarker technologies which are well positioned to support and streamline the drug development process." BIOTECHNICA, Europe's leading tradeshow for biotechnology and life sciences, will resume its original two-year cycle from 2011 on. "The decision was made in response to the needs of the international industry," Deutsche Messe Board of Management member Stephan Ph. Kühne explained on Tuesday in Hannover. The next BIOTECHNICA after this year's event, which runs from 11 to 13 September, will therefore be held in fall 2013. The move would free up much-needed space in the national and international trade fair calendar, Kühne noted. "The resumption of the two-year cycle will enhance the trade fair mix in the biotechnology and life sciences sector, and improve the coordination of event timeslots in future years," he added. MorphoSys AG and Boehringer Ingelheim announced today the signing of a biopharmaceutical manufacturing agreement for therapeutic antibodies. The agreement covers the process development and manufacturing of additional clinical material for MorphoSys's proprietary MOR208 program and other drug candidates. MOR208, a potent monoclonal anti-CD19 antibody, is in development for the treatment of chronic lymphocytic leukemia and potentially other B-cell malignancies. The program is currently being evaluated in a phase 1 clinical trial in the USA by MorphoSys's partner Xencor Inc.
Patent-pending Synergy H1 is a quadruple-grading monochromator-based reader that may be easily upgraded at any time with filter-based optics to become a true hybrid reader. This provides endless flexibility for current as well as future assay needs. The MultiFlo Microplate Dispenser combines up to four independent liquid dispensers and two dispensing systems in one compact unit for broad dispense ranges and microplate/vessel types. Going forward, BioFocus will provide a limited number of clients with SoftFocus libraries on a subscription basis only. These libraries are designed to target protein families of particular interest to the subscribers. This shared exclusivity model will allow clients access to high value, novel compounds with limited competition on derived intellectual property. SwitchGear Genomics’ GoClone miRNA target sets are already widely used for investigation of gene regulation by micro RNAs and the availability of these highly regarded reporter vectors in Sigma’s versatile lentiviral format can provide stable transfection into a broad range of cell types – including difficult to transfect lines such as primary cells and stem cells – without the need for time-consuming and laborious reporter cloning. Thermo Fisher Scientific Inc today announced Thermo Scientific SampleManager 10.0 LIMS (laboratory information management system), a solution that delivers significant new time and cost savings for scientists and lab managers across the broadest range of process industries. SampleManager 10.0 improves access to data across the enterprise; delivers key business metrics to management; facilitates compliance with ISO, GLP and other regulatory requirements; and optimizes workflows and quality management. 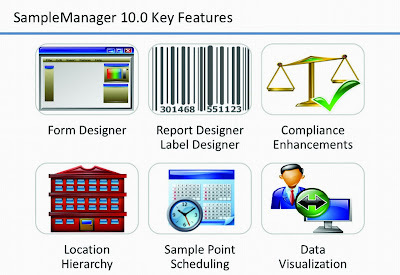 Thermo Fisher will showcase SampleManager 10.0 Pittcon 2011, being held March 13-18, in Atlanta. SampleManager LIMS is the corporate standard at leading organizations in oil and gas, food and beverage, environmental and water, metals and mining and other process industries. It provides an intuitive user interface and logical workflow for laboratories looking to optimize their operations by standardizing processes across geographies and streamlining data exchange across enterprise systems. It is designed to integrate with existing ERP, PIMS and MES systems and with other applications and instruments in and out of the laboratory, providing one standard user interface and allowing for easier standardization for global enterprises. Users will gain greater efficiency with integrated solutions that deliver a new kind of connected productivity regardless of the analytical challenge. Apeiron Biologics AG has announced that it has entered into an exclusive option to license from the Cleveland Clinic a number of novel compounds. These compounds are currently in development at Cleveland Clinic as drug candidates for treatment of various cancers, designed to fight cancer based on stimulation of the immune system. In preclinical models, they have shown anti-cancer activity and a favourable toxicity profile as orally available agents. This transaction follows in the wake of successful in-licensing deals that Apeiron completed in the past six months. InhibOx Ltd (spin-out of Oxford, UK) and the COSMIC Discoveries (the independent service arm of the Institute of Life Sciences, Hyderabad, India) today announce that they have formed a close strategic partnership to deliver a full service drug discovery service offering, incorporating expert computational, medicinal and synthetic chemistry design capabilities. Both commercial organizations, linked to world-leading academic institutes, have built their services on advanced proprietary science and technology. Together, they offer unique capabilities that are able to address the most demanding drug discovery challenges on behalf of biotech and pharmaceutical companies worldwide. Computational chemistry service organizations tend to operate in isolation, leaving their customers to handle compound acquisition or synthesis. Similarly, medicinal chemistry providers often use standard, off-the-shelf molecular modeling systems and databases, with only a small team of specialist users – they therefore lack access to advanced, proprietary systems and breadth of expertise. This partnership meets the market need to bring to the customer a single point of business contact and ownership and to deliver joined-up leading-edge design services. SonicMan is a high throughput sonication instrument developed by Matrical Bioscience, configurable with 96 and 384-well formats. SonicMan uses disposable pin lids to transfer sonic energy to each individual well. 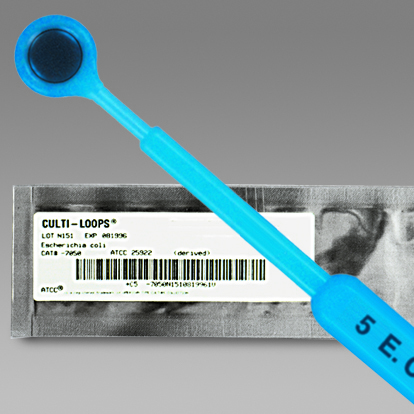 * SonicMan can shear 384 DNA samples to 250 bp in hours. * The random fragments generated are suitable for the sequencing of large genomes. * Bring the cost per sample down for your laboratory, with no specialised reagents required. * The software is fully user configurable and easy to use. Other applications of SonicMan include; cell lysis, lysis of zebrafish larvae, transfection and compound dissolution. BioAmber, a leader in bio-based succinic acid, has entered into an exclusive licensing agreement with CELEXION LLC for technology related to the production of adipic acid and other chemical intermediates. The current market for adipic acid is close to 3 million tons per year, worth approximately $8 billion at current market prices. Leaders in temperature controlled microscopy, Linkam Scientific Instruments, and freeze drying technology, Biopharma Technology Limited, are celebrating ten years of partnership in supplying solutions to the pharmaceutical industry. Biopharma Technology Limited (BTL) was founded in 1997 to develop freeze drying solutions to multiple materials in the world of pharmaceuticals. Freeze drying, also known as 'lyophilisation,' is a method of processing a liquid product into a dry solid product. instrAction GmbH, Ludwigshafen, the specialist for design and production of selective separation matrices and Protagen AG, Dortmund, a GMP certified service laboratory for protein analysis signed a strategic alliance for the development of customized instrAction Phases for downstream processing of biotherapeutics. How can life science companies ensure high quality of their products and processes? By maintaining optimal conditions in their critical production and storage environments with the help of highly accurate and fail-safe environmental data. Vaisala's experts are available throughout the week at ContaminExpo 2011 to discuss how continuous environmental monitoring and gap-free data help life science industries achieve uncompromised product quality and full regulatory compliance. Products and systems on display include the Vaisala HUMICAP Humidity and Temperature Transmitter HMT120/130 and the Vaisala Differential Pressure Transmitter PDT100, both new transmitter series designed for monitoring in cleanrooms and demanding HVAC applications. Both new products are also ideal to be used in conjunction with Vaisala Veriteq Continuous Monitoring System for controlled and critical environments. Vaisala is at ContaminExpo 2011, Porte de Versailles trade fair centre in Paris, France on 15-17 March. KINAXO Biotechnologies GmbH announced today that it has entered a second collaboration with Takeda Pharmaceutical Company Limited Osaka, Japan. Under the agreement KINAXO will apply its quantitative phosphoproteomics technology PhosphoScout to assist in research of drugs under development at Takeda. This will allow Takeda to take early educated decisions on drug efficacy and safety. Financial details of the agreement were not disclosed. Stratophase, a specialist in real-time chemical and biochemical measurement, will be exhibiting at this year’s Pittcon conference in Atlanta, USA (13th to 18th March). The Stratophase team showcase the latest developments in the company’s process status monitoring (PSM) and bio-detection solutions. Pittcon is the world's largest annual laboratory science conference and includes a significant number of presentations and short courses designed to provide education and field updates. In addition, this year’s exhibition will include more than 950 exhibitors discussing the latest technological developments. At the Stratophase booth, the company’s expert team will be demonstrating the latest version of its bench-top PSM control unit, which is now even smaller and intuitive to use thanks to a 50% reduction in footprint and a touch-screen user interface. The unit can be connected to up to eight of Stratophase’s in-line optical sensors to provide real-time PSM of both batch and continuous flow reactions. In addition, Stratophase will also provide information on its bio-detection solutions. The platform specifically detects biological agents using a combination of the company’s innovative optical microchips with immunoassay-based chemistry, providing potential applications in fields as diverse as medicine, veterinary practices, agriculture and bio-defence. As an example of the system in use, Stratophase will provide data from a recent successful pilot study that utilised the technology to detect foot-and-mouth disease. Thermo Fisher Scientific Inctoday announced the opening of its Center of Excellence for persistent organic pollutants (POPs). Staffed with experts in POPs analysis, the new center will support laboratories that research, measure and monitor dioxins and other POPs found in food and the environment. The center provides access to highly productive, value-added methods for identifying some of the most difficult to detect POPs. The first method developed by the centre provides an integrated workflow that includes instruments, software and consumables used in screening to confirmation. The workflow will be available from Thermo Scientific during Pittcon 2011, being held March 13-18, in Atlanta. POPs are chemical substances produced by human activity and they are widely distributed in the environment by natural processes, persisting for many years after forming. POPs, such as dioxins, can be toxic to living organisms (including humans) as they accumulate in soft tissues, and contaminants can become more concentrated as they move up the food chain. As a result of their impact on health and the environment, the Stockholm Convention on POPs, administered by the United Nations Environment Program, has been signed by more than 160 nations to protect human health, wildlife and the environment. Sartorius Stedim Biotech, a supplier of products and services for the biopharmaceutical industry, is expanding its portfolio for quality assurance in the lab. Microsart @vance is the new product line that joins the established Microsart family, and has been specifically designed for microbiological quality control in the pharmaceutical and biopharmaceutical industries. Microsart @vance enables efficient, advanced work flows in quality assurance laboratories and meets the highest safety standards. As a result, the new product line more than meets the demanding requirements of the pharmaceutical and biopharmaceutical industries. The single-use filter units, Microsart @filter 100 and 250, lead the vanguard of this new range and have been specifically developed for the detection and enumeration of microorganisms in pharmaceuticals and cosmetics. NVIDIA announced today the launch and immediate availability of its new NVIDIA Quadro 2000D graphics solution, designed for use in professional medical imaging environments to help improve the accuracy and timeliness of patient diagnosis. This is the latest addition to the company’s portfolio of award-winning Quadro professional graphics solutions, built on the NVIDIA Fermi architecture. The Quadro 2000D provides key diagnostic display capabilities and application performance that hospitals, clinics and other diagnostic imaging environments demand in order to effectively interpret and manage high resolution patient imagery. Integrated DNA Technologies (IDT), a leader in oligonucleotide synthesis, will be exhibiting at the qPCR 2011 show in Munich, Germany from 28th March to 1st April. Dr Scott Rose, Director of Molecular Genetics at IDT will deliver a talk, entitled ‘PrimeTime Pre-designed qPCR Assays using ZEN Internal Dark Quencher Chemistry’. Well-designed qPCR assays require the careful consideration of primer placement, specificity, avoidance of SNPs, oligo interactions and accurate Tm calculations. In order to meet these requirements, IDT now offers PrimeTime Pre-designed qPCR Assays for all genes in the human, mouse and rat genome. These assays avoid any cross-reactivity within that genome, known SNPs and primer interactions, while providing full disclosure of all sequence information, as recommended by MIQE guidelines1. By including the ZEN double-quenched probes, these assays provide outstanding levels of sensitivity, with the added security of knowing precise probe location. IDT’s ZEN double-quenched probe technology increases the accuracy and reliability of 5’ nuclease qPCR experiments by positioning an internal ZEN quencher 9 bases from the 5’ fluorophore. When combined with the standard 3’ quencher, this significantly decreases background fluorescence and increases sensitivity. The initial background fluorescence signal is therefore much lower, making subsequent changes easily detectable. 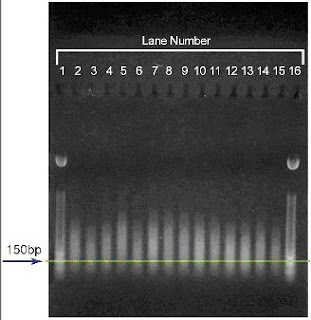 As a result low background is obtained, even at 40 base pairs or longer. NanoSight, manufacturers of nanoparticle characterization technology announced the release of Zeta Potential Analysis applying Z-NTA, particle by particle characterization of surface charge. Z-NTA will make its public debut at the US Pittsburgh Conference & Exposition being held in 2011 in Atlanta, Georgia from March 14th until 17th. Zeta Potential Nanoparticle Tracking Analysis (Z-NTA) adds measurement of surface charge to simultaneous reporting of size, composition (light scattering intensity), fluorescence and count. As with NTA, the core of NanoSight’s world-accepted nanoparticle measurement systems, it collects data on a particle-by-particle basis. No other methodology comes close to providing such simultaneous, multiparameter nanoparticle characterization. ITT Corporation announced that its WTW and OI Analytical instrument brands offer a range of measurement options for the detection of the carcinogenic hexavalent chromium (chromium VI) in drinking water supplies. ITT Analytics’ range of sophisticated technology and simple and convenient screening tests will assist U.S. water utilities to achieve fast and accurate measurement of the cancer-causing element in water while meeting EPA guidelines. ITT Analytics will showcase its range of measurement options during Pittcon 2011, being held March 14-17 in Atlanta, Georgia. Waters Corporation today unveiled three new Waters ACQUITY UPLC Systems further extending the impact of sub-two micron separation technology to address targeted analytical challenges. The addition of the Waters ACQUITY UltraPerformance Supercritical Fluid Chromatography (UPSFC) System, the ACQUITY UPLC System with 2D Technology, and the Patrol UPLC Laboratory Analyzer further reinforces the innovative dominance of Waters’ family of ACQUITY UPLC solutions in separation science. Thermo Fisher Scientific Inc today announced the new Thermo Scientific Syncronis HPLC column range. The new range delivers consistent, predictable separations, from run to run and column to column. Thermo Fisher will showcase the Syncronis HPLC column range at the Thermo Scientific booth during Pittcon 2011, being held March 13-18, in Atlanta. One of the goals for a chromatographer when developing new methods is achieving consistent, reproducible separations. Selecting a highly reproducible HPLC column is essential to attaining this goal. The new Syncronis column range delivers exceptional reproducibility by providing highly pure, high surface-area silica, dense bonding and double endcapping, all controlled and characterized through rigorous testing. Newly enhanced, automated column packing methods used within the Syncronis range deliver greater consistency, and every column is individually tested to ensure that it meets required specifications. These extensive testing and quality control procedures ensure the delivery of a completely consistent product. Syncronis columns are available with 5 µm particle size for conventional HPLC applications and with 1.7 µm particle size for high-speed, high-efficiency UHPLC separations. Thermo Fisher Scientific Inc today announced the release of the Thermo Scientific EASY-Column for nanoscale HPLC applications. Nanoscale HPLC is primarily used in combination with high performance mass spectrometry for the analysis of complex biological samples, such as applications in proteomics and disease biomarker discovery. The EASY-Column operates effectively on any nano LC system, including the Thermo Scientific EASY-nLC, and it is optimized for online LC-MS. Produced with the highest-quality and purest chromatography media possible, the EASY-Column uses metal-free fused silica capillaries to ensure full biocompatibility and has been designed to optimize peak resolution and method sensitivity for these challenging separations. Thermo Fisher will showcase the new EASY-Column within Thermo Scientific booth during Pittcon 2011, being held March 13-18, in Atlanta. Simple and easy to use, the EASY-Column has precisely cut and polished ends, giving a perfect, zero dead-volume connection to the emitter and transfer lines. Each column is individually tested and subjected to rigorous inspection and quality control protocols. The EASY-Column sets a benchmark for easy-to-use compatibility, while providing the chromatographic performance required for demanding nanoscale LC applications. Thermo Fisher Scientific Inc today announced Thermo Scientific POPs Screening and Thermo Scientific POPs Confirmation, two new regulatory compliant GC application kits for screening and confirming the presence of persistent organic pollutants (POPs). The kits provide a simple, ready-to-use package for GC-MS analysis with all necessary consumables and methods, enabling labs to more efficiently, cost-effectively and accurately meet EU directives on POPs levels and detection sensitivity. This is especially important for the screening of food or environmental samples. Thermo Fisher will showcase the POPs analysis kits within Thermo Scientific booth during Pittcon 2011, being held March 13-18, in Atlanta. Containing everything from columns to consumables, the POPs Screening and POPs Confirmation kits can simplify chromatographic analysis, from ordering and sample handling to final report generation. 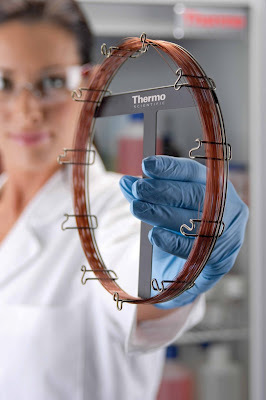 Unlike some newer chromatography methods, which are often expensive and time-consuming to develop and validate, the Thermo Scientific POPs kits eliminate the need for extensive method development and shorten the validation period, providing the highest quality data in the shortest possible time. Contamination of food and water supplies with dioxins, furans and other persistent organic pollutants presents a real danger to public health. Regulatory bodies now require screening for these compounds down to parts per trillion. The POPs Screening and POPs Confirmation kits are designed to operate with existing Thermo Scientific GC-MS technology and software to generate toxic equivalents for the analyzed samples. The kits are packaged with all necessary components for ease of method development, and whole kits or individual components can be rapidly reordered as needed. 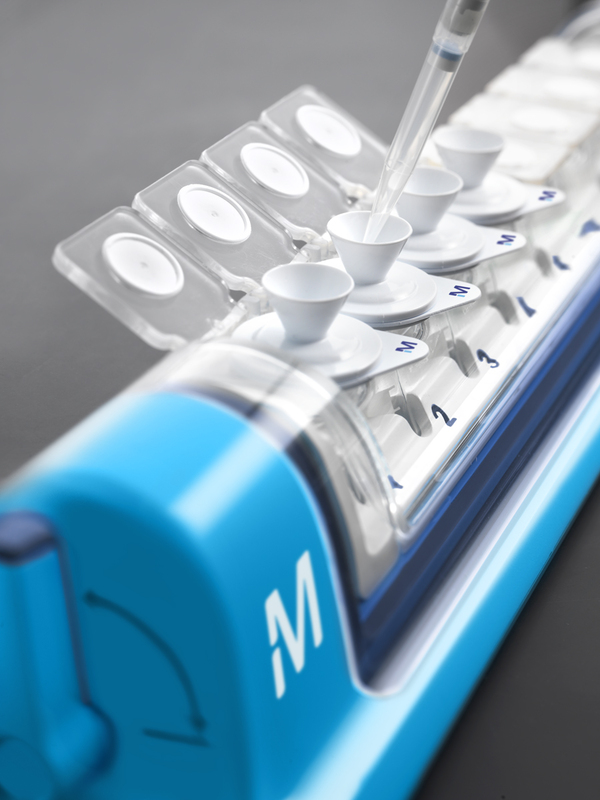 EMD Millipore, the life science division of Merck KGaA of Germany, today announced the introduction of the Samplicity Filtration System, an innovative new technology that provides a convenient, high throughput alternative to syringe-tip filters when preparing samples for chromatography. The Samplicity system allows up to 8 samples—even those with high viscosity or particulates—to be simultaneously vacuum-filtered in seconds. Samples are quickly and easily loaded using a pipettor and are filtered directly into LC vials. The filtered samples are immediately ready for subsequent analyses. 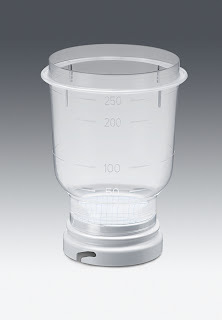 The Samplicity system is designed for use with Millex Samplicity™ filter units with a hydrophilic Teflon® membrane filter in either a 0.45 or 0.2 μm pore size. Millex Samplicity filter units have low extractables, low analyte binding properties, and a low hold-up volume, which allows processing of samples as small as 200 µL. ITRI Innovation has announced its latest generation of analytical capability in advanced elemental detection and mapping. This is due to the recent installation of a Axios Minerals mAx WD-XRF Spectrometer. This new piece of equipment comes with element selectivity from oxygen to uranium and includes the PANalytical PX1 for the ultimate in light element performance. The new WD-XRF Spectrometer uses a patented analytical technique to identify and determine the concentrations of elements present in solid, powder and liquid samples. It measures the energy of the individual X-ray fluorescent photons produced by the atoms in a sample when irradiated with X-rays. This new service can be used by companies who require production and process control, quality control and assurance, analysis of recycled materials, compliance testing for RoHS/WEEE and other international environmental rules and regulations. Insufficient cleaning could allow build-up of microbes on orthodontic retainers, researchers at the UCL Eastman Dental Institute have found. Dr Jonathan Pratten and colleagues looked at the types of microbes which live on retainers. This study, which found potentially pathogenic microbes growing on at least 50% of the retainers, is published today in the Society for Applied Microbiology’s journal Letters in Applied Microbiology and could indicate a need for the development of improved cleaning products for orthodontic retainers. Dr Pratten and his team took samples from the mouths of people without retainers and those wearing either of the two most widely used types. As retainers are frequently removed and then replaced in the mouth, the potential for transmission of microbes is high. Affimed Therapeutics AG, the therapeutic TandAb antibody company, today announced the appointment of Dr Adi Hoess as Chief Commercial Officer, effective immediately. His areas of responsibility will include commercial and strategic management aspects as well as business development. Dr Hoess compliments the management team of Affimed and contributes more than 17 years of experience in business development, strategic planning and commercialization in the biotechnology sector. AbCheck sro, the multi antibody discovery platforms company, announced today the company has licensed a proven antibody yeast display technology from CELEXION LLC (Cambridge, MA, USA). The addition of this platform to AbCheck's current phage display platform places the company as the World's only antibody discovery specialist leveraging the advantage of working with both phage and yeast display technologies. "In our discussions with partners we noticed an increasing demand for human antibodies with not only high affinity and target specificities, but also good drugability and biological functionalities," said Dr. Volker Lang, CEO of AbCheck. "By combining the strength of both yeast and phage technologies into AbSieve we have created a platform that exactly addresses this market need. Moreover, we can combine this with delivery in very competitive timeframes and maximum flexibility to construct generous tailor made deals." Under the deal terms, AbCheck receives non-exclusive rights to the yeast display platform in the Czech Republic and worldwide rights to commercialize derivative products. Financial terms were not disclosed. The technology has proven to be able to display full length functional IgGs, tandem scFvs and scFvs plus many other non-antibody proteins. "We are very pleased to partner with the experienced antibody engineering team at AbCheck, and to see our powerful SECANT platform become a key component of their toolbox." said Dr. Brian M. Baynes, CEO of CELEXION. "In more than 25 projects we have used our phage display antibody technology to identify human antibodies with high affinities and demanding target specificities. I am excited about expanding our capabilities by adding the ability to display antibodies in virtually any format and simultaneously screen for high affinity and drugability to our already efficient technology," stated Dr Vera Molkenthin, CSO of AbCheck. "Now we have the maximum likelihood to identify antibodies with exactly the drug target profile requested by our partners." Axiom Analytical Inc has announced its fibre-optic coupled FPT-830 Near-IR Transmission Probe. The new probe shares many of the characteristics of the Company’s well-established FPT-850 on-line process analytical probes, including the extreme robustness provided by the Company’s patented welded metal window sealing technique (1). However, the new fibre-optic probe also features reduced diameter (18 mm) and thus is tailored to providing optimum performance when used with the relatively small reaction vessels often employed during pharmaceutical process development and scale-up for on-line process control. In common with the FPT-850, the FPT-830 employs a single pass through the sample gap. This provides two important advantages compared to double pass 'transflectance' probes. First, it eliminates the possibility of stray light offset caused by backscatter from either the sample or the probe windows. Second, it provides twice the window separation for a given optical pathlength, greatly enhancing sample flow between the windows. 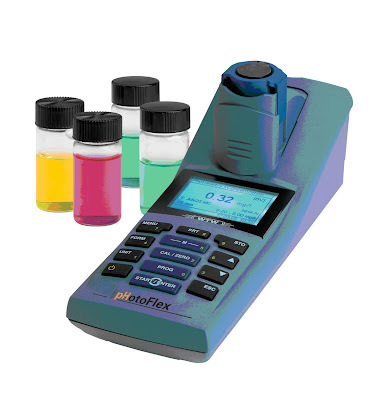 The FPT-850 is widely used for on-line NIR and UV-Visible process analysis in the chemical and petroleum industries. Its ability to be mounted directly in a process line or vessel has brought true in-situ analysis to these industries, eliminating the need for costly and trouble-prone sample conditioning systems. The FPT-830 extends this capability to smaller process lines and reaction vessels. 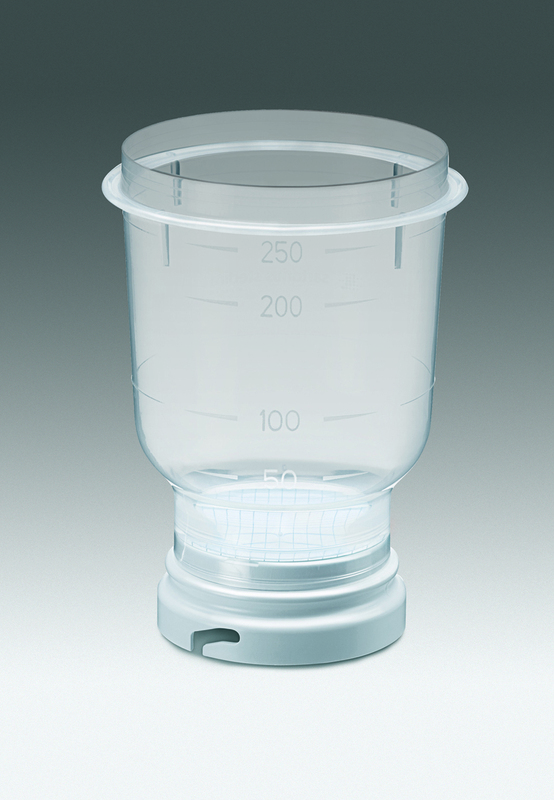 In addition, its reduced weight makes it ideal for many pharmaceutical development and other laboratory applications. Axiom Analytical Inc has announced its FMX-200U Series Fibre-optic Multiplexers. The new multiplexers extend the capabilities of the Company’s FMX Series Multiplexers into the ultra-violet region of the spectrum, providing rapid switching between up to 16 sampling points. It is ideal for use in applications such as pharmaceutical dissolution monitoring and the analysis of aromatic compounds and other strongly absorbing chromophores. FMX Series multiplexers can be controlled from a remote computer via a choice of RS-232, RS-422, or RS-485 ports. System commands are provided in two forms: a custom ASCII protocol, and a subset of the OPTO-22 instruction protocol. In addition, the multiplexers can be controlled by the Symbion Suite of analytical instrument software. This enables them to be integrated into comprehensive systems for both laboratory and on-line chemical process analysis. Axiom Analytical Inc has announced its DPR-230 sample compartment mounted attenuated total reflectance (ATR) probe for FTIR spectroscopy. The new probe is the successor to the popular DPR-210 which has found widespread use in applications ranging from chemical and pharmaceutical research to incoming inspection of raw materials. In common with its predecessor, the DPR-230 features broad mid-IR spectral response, providing detailed quantitative analysis based on specific chemical functional groups. It comes equipped with an interchangeable sample compartment mounting plate to mate to any specified FTIR spectrometer. In addition to the considerable capabilities of the DPR-210, the new probe features higher transmission and easier interchange of ATR elements. 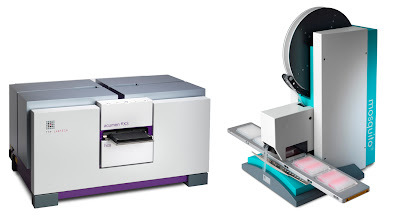 The design of the DPR-230 allows it to pivot around the spectrometer’s sample beam axis so that it can be dipped into any sample container for rapid screening or detailed analysis. Cleaning is achieved by simply dipping the probe into a beaker of solvent and wiping it off with a soft tissue. Interface to laboratory reaction vessels is provided by a sliding tapered joint that can be locked in any position on the probe. With its high transmission (up to 20%, depending on spectrometer beam geometry), the DPR-230 provides highly sensitive chemical analysis when used with the DTGS infrared detectors, standard with most FTIR spectrometers. The DPR-230 is the newest member of Axiom Analytical’s comprehensive family of products based on the Company’s patented ATR immersion probe technology*. Other members of the family include models for on-line process analysis as well as diamond ATR probes for the monitoring of highly aggressive chemical reactions.